Recurrent bouts of local violence and regional instability have contributed to unprecedented levels of humanitarian need and food insecurity in Iraq. Historically, the country’s vulnerability to food insecurity was chiefly a result of obstacles to international trade—provoked by war and sanctions—impeding the export of oil and import of food. Aggravated in recent years by drought, Iraq’s poor agricultural production has been additionally stymied by the intensification of conflict. Right now 3.3 million Iraqis are internally displaced and 2.4 million require immediate food assistance. WFP has been present in Iraq since 1991. Since 2014, as a result of mass displacement from major Iraqi cities like Mosul and Ramadi, WFP is supporting some 1.5 million people per month in all 18 governorates, including hard-to-reach areas. This takes the form of monthly family food parcels for those with access to cooking facilities; food vouchers that can be redeemed at local shops; and ready-to-eat food rations that provide families on the move with enough food for three days. WFP also provides food assistance to Syrian refugees who have fled to Iraq. In areas where security and market capacity permits, some 50,000 Syrian refugees are benefitting from monthly food rations and a voucher program. 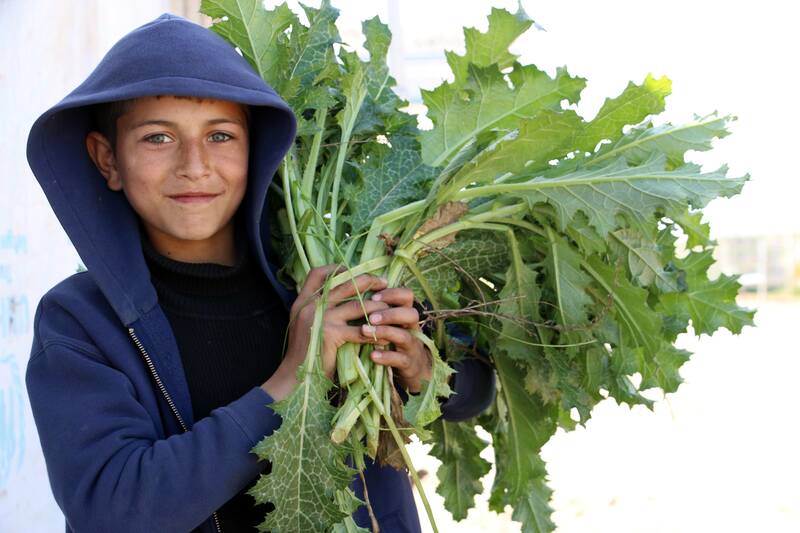 In 2016, WFP plans to scale up its assistance to reach more than 70,000 Syrian refugees per month.